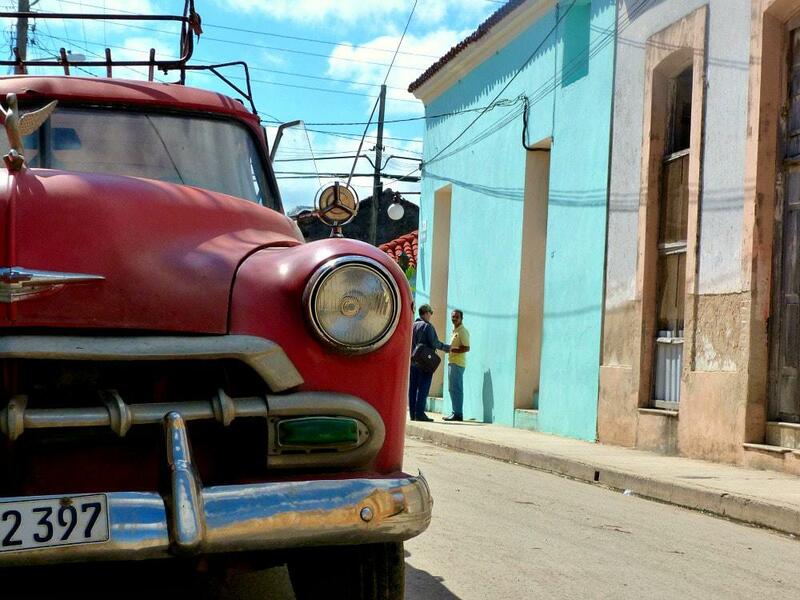 If you decide to travel around Cuba with a car, it will give you a great amount of freedom. You can stop wherever you want, you are not stuck with the only bus departing on that day and it allows you to include some lesser known cities and villages in your trip. You can park the car whenever you feel like, taking a picture or a doing complete photoshoot – even in the middle of the road, as they are often completely deserted! 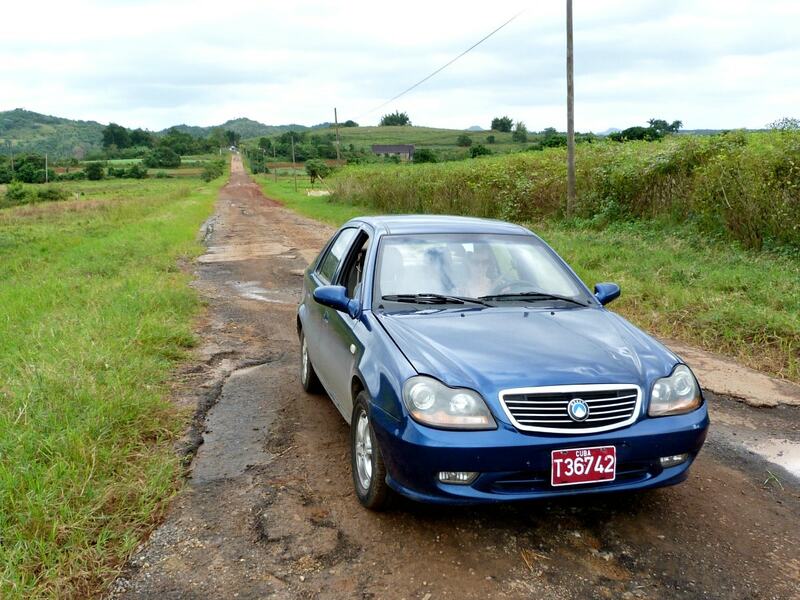 The most asked question when it comes to travelling with a rental car in Cuba: what is the quality of the road network like? Well, in the meantime it has become quite ok. A few years ago some roads were famous and notorious because they looked more like a Swiss cheese than a proper stretch of tarmac, like the bit between Moa and Baracoa in the east. Slowly the quality of the roads is being improved. Still, you will find some potholes and bumps along the way, but the most-used autopistas are actually quite decent now. Rule of thumb is: the further to the east you go, the worse the roads become. Generally speaking you can expect to drive 80 km/h (50 mph) on average on the highway and 50 km/h (30 mph) on smaller roads. 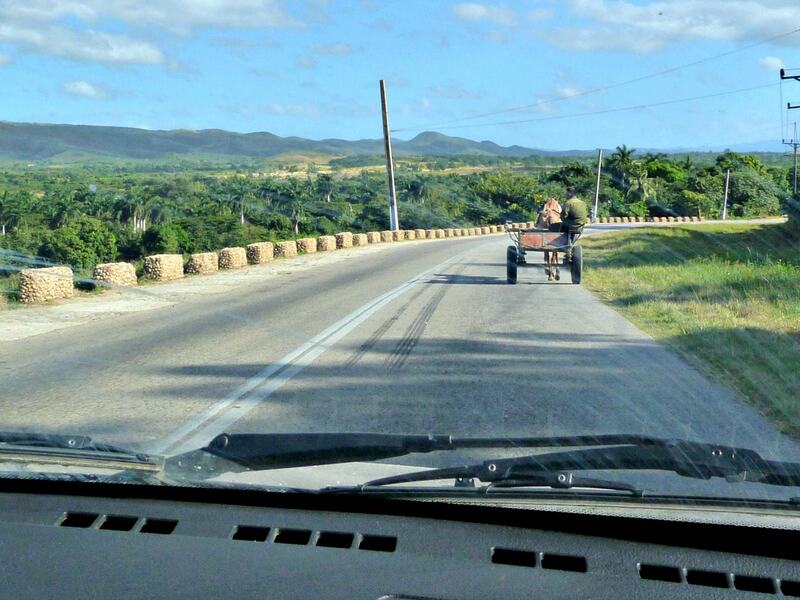 Besides: the highways in Cuba are not only used by cars and motorcycles (often with sidecar) but by buses, horse carts, pedestrians and cyclists as well. Yes, you read that correct, cyclists! Cuba is pretty flat and the highways are not bad at all, making it a proper cyclist country. Where in the world are you allowed to just take your bike and use the highway? 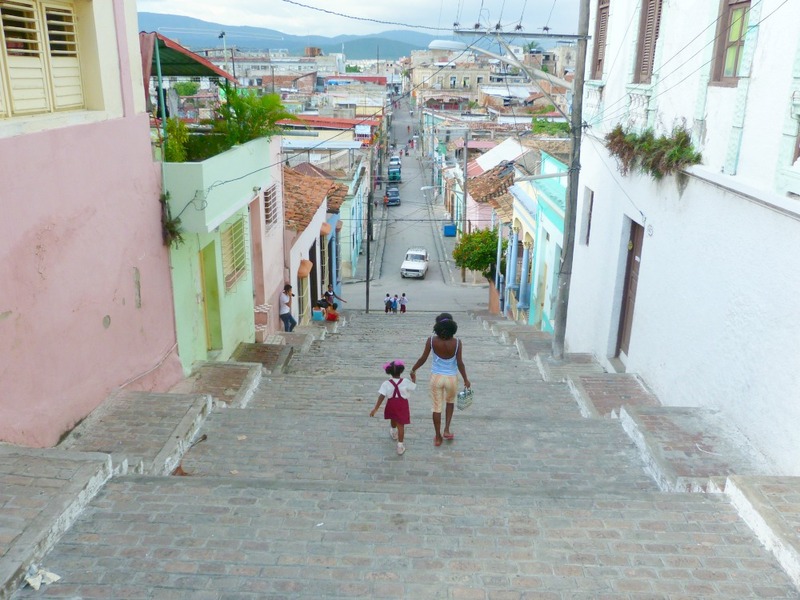 Is it easy to find your way in Cuba? Ehmm, in all honesty, this question has to be answered with a ‘no’. The highways have some signs which will indicate how far it is to a large city nearby. Highway exits are not mentioned however. Sometimes you have to take a bit of a chance to get around: if you know you have to turn right somewhere soon on the autopista, you just take the first right turn at whatever big crossroad you get to. And then you’re probably on the right road. If you know you have to turn left, you take the second exit at the big crossroads: that will take you over the highway, in a cloverleaf loop to the left side. You’ll get used to it pretty quickly. A proper map is a necessity. Everybody is used to drive around with a navigation system, but Cuba is a completely different story. These kind of GPS devices are prohibited. The 3G network (that only exists since early 2017) is very expensive and doesn’t cover the entire island, rendering your mobile phone pretty useless as well. Back to the good old paper roadmap it is! If you are looking for a proper map: the Cuba Road Guide is by far the best road map available for Cuba. I have been travelling around Cuba with it and it saved us multiple times from getting lost. Some good mobile apps are available, where you can use offline maps of Cuba, finding your way with your mobile phone’s GPS-signal. Smart apps are Pocket Earth, Maps.me and Galileo Offline Maps. 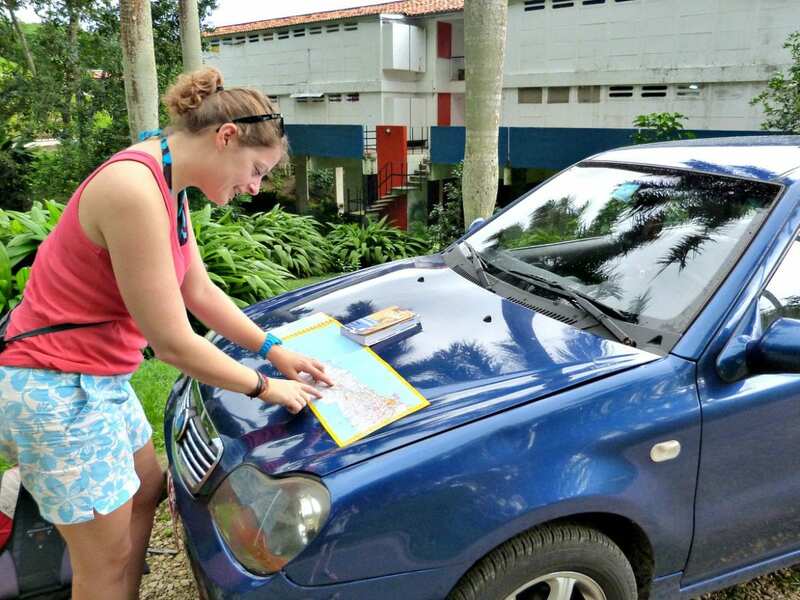 Don’t forget to install them and download a map of Cuba before departure! Some smaller roads will have road signs, but it happens ever so often that the arrows which should lead the way have been made unrecognizable. Not very handy, if you want to go somewhere… but wait: every crossroads will have some Cubans hitchhiking happy to tell you where you need to go – if you are willing to take them, that is. Often, these road sign arrows have been deliberately erased, almost forcing you to ask for directions and thereby increasing the chance of taking on hitchhikers. These hitchhikers mean no harm; they just want to go home. A lot of Cubans do not have a car and have to hitchhike to and from work. You might end up further away from your destination than you were before you picked up the hitchhiker though… Cubans are quite cunning :-) Just pay some attention. Sometimes it helps to pass a crossroad first, then turn around and approach it from the other side. Often you will find signposts which are readable this way. Besides: it is not unusual that a hitchhiker will ask you for money. And yes you read that right: asks for money, not offers money! You ought to pay for the service they have provided, namely helping you with directions. Think of it it what you like; at least you’ll be prepared for it now. 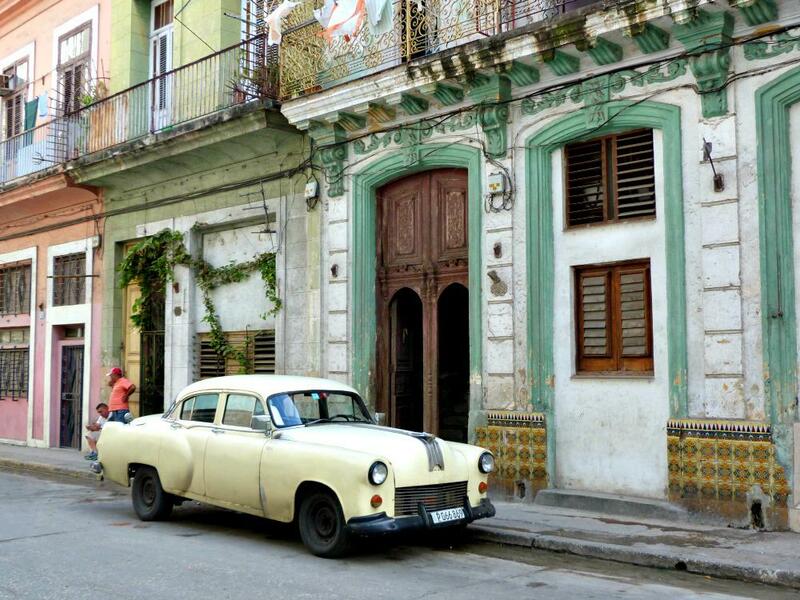 What is the best online place to book a rental car in Cuba? How long do you need to book in advance? Only one answer is correct in this case: as far in advance as possible! Really guys, Cuba is booming and everyone wants to drive around with a rental car. The demand exceeds the supply many times, meaning that weeks, even months ahead it won’t be possible to book any rental car at all. Especially the months of July, August, November, December, January and February are super high season. This requires you to book a rental car at least two to three months in advance, if you want to pick it up and drop it off in Havana. Regarding Havana as pickup a location, it can be smart to try several pickup locations on the website; the rental cars in Old Havana are sold out the quickest, but Havana Vedado or Havana Miramar might still have some cars available. If you are already too late and you aren’t able to find a car on the website of TUI Cars anymore, it might help to choose a different pickup location than Havana. Try Varadero or Cienfugos for example. You could do the first stretch of your trip by bus and then pick up the car there. Not ideal of course, but better than having no rental car at all. Which rental car company is the best? To be clear: all car rental companies in Cuba belong to the state, meaning they are all state companies. There are some differences among them however. The best rental car provider in Cuba is REX. They provide the best quality cars, offer the highest service if your car might break down or need help and offer the best conditions in regards to free drop-offs on other locations. Not surprisingly, they are also the most expensive provider. All other rental car providers like Havanautos, Cubacar or Viacar are a bit cheaper. But take this into account: in Cuba you will definitely get what you pay for. That means that most probably you will get an older car and you will have to deal with staff that is not the most helpful when in trouble. It is up to you to decide if that’s worth it. Are you looking for ideas for a three week journey across the island from east to west? Check out this article: My ideal three-week itinerary for a trip to Cuba. How much does a rental car in Cuba costs? Not unimportant of course, when planning to rent a car: what does it cost? It depends on the rental car provider and on the class of car. REX is the most expensive: a medium car will cost around €60 per day in low season and €100 per day in high season. The low season includes the months of May, June, September and October; all other months fall into the high season. The other providers are a bit cheaper: around €50 per day in low season and €80 in high season. I regularly get emails from people who think that car rental in Cuba is quite expensive. 15 days of car rental in high season easily sets you back €1100 to €1500! Prices are much higher when compared to the US, Italy or Spain. Good to keep in mind. 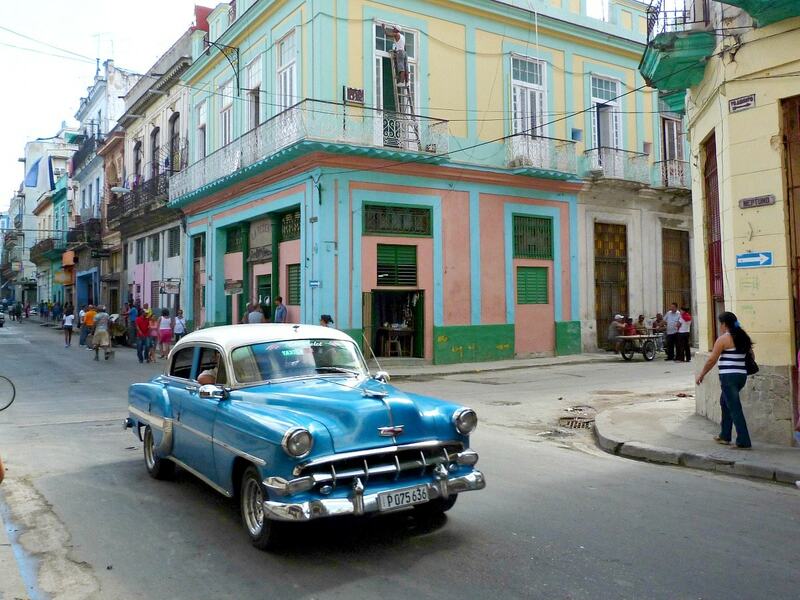 What are the local costs in Cuba on top of the daily rental price? > two insurances, a CDW (collision damage waiver) and LDW (theft insurance). Calculate around 15-20 CUC (€14-18) per day. > surcharges for an extra driver. This will costs about 10CUC (€9) per day. > you need to pay a security deposit on the spot. This deposit is being charged on your credit card, which requires a copy of your credit card to be taken. This copy will be destroyed once you’ll return the car undamaged. You MUST have a credit card if you want to rent a car in Cuba; no credit card means no rental car. Besides these costs you should also take gasoline costs into account. The price for a liter of fuel is a bit more than €1,10 per liter. A little advice: almost every rental car provider will give you a full tank and you are allowed to deliver it back empty. Try not to fuel the car up at the end of the trip, that’s a waste of money. 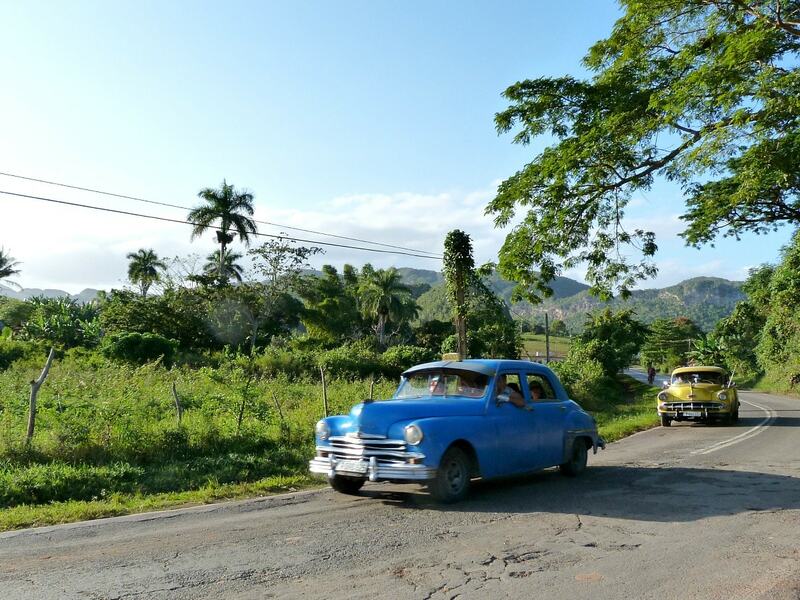 If you are planning to make a complete roundtrip on the island to reach Santiago de Cuba and Baracoa in the east, it could be wise to pick up the car in Havana and drop it off on the east coast. Many travellers on charter flights to Cuba will arrive in Varadero and depart from Holguin. 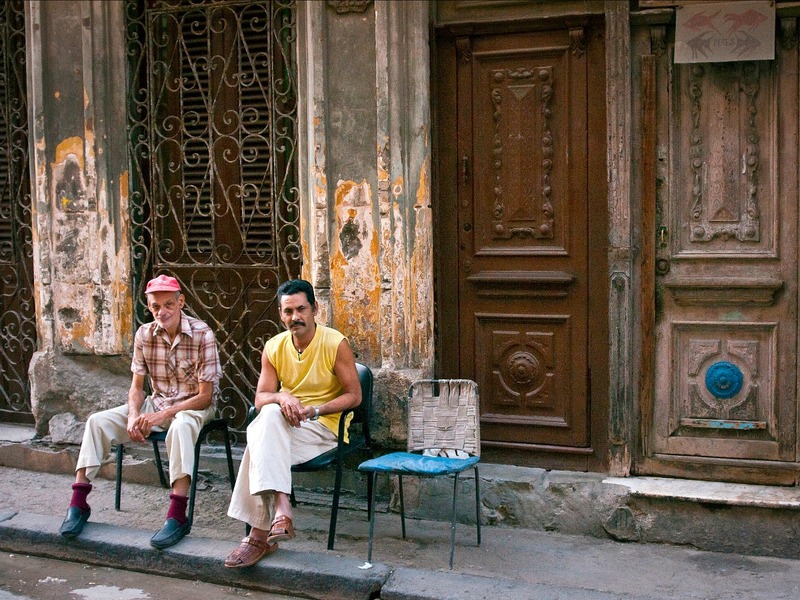 Or they fly in and out of Havana, drive from west to east, drop off the car and take a domestic flight back to Havana. In that case, pay attention to the conditions of the car rental: do you need to pay a surcharge for the ‘drop-off’ on a different spot then where you picked it up? Those costs could be considerable. Rental cars are bookable on the website of TUI Cars. Busy like a train station at rush hour: that’s what the situation is like with rental cars in Cuba right now. This means long waiting times before you can finally pick up your rental car, because Cubans working at state companies are neither fast nor efficient… It also means that you’ll have to be at the door of the rental office right at the moment it opens. Keep in mind that you probably will have to wait anyway: we were at the office in Old Havana at 8 in the morning and were only able to take off at around 11. And there were only four people before us… in three hours time! It could be smart to pick up the car a day before, for example at 5 in the afternoon. You will pay a day more but it allows you to begin your trip early in the morning. 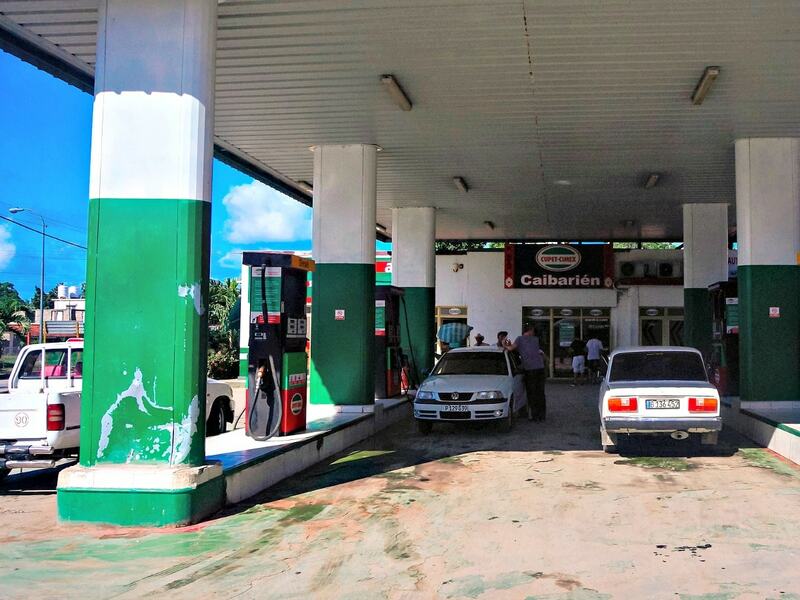 Petrol stations are not as common in Cuba as they are in the rest of the world. Therefore I’d advise not to drive around too long with a half empty tank, because you never know when you will pass another petrol station. Most petrol stations accept credit cards; an easy way to avoid carrying around heaps of cash. Of course it might still happen that there is no electricity or that the credit card machine doesn’t work… and for those times you really need to carry cash CUC as backup money. 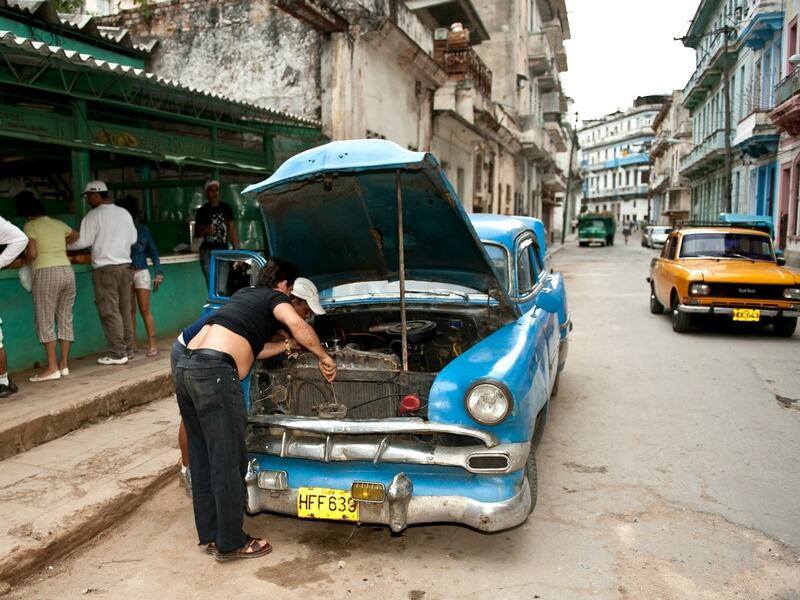 There are two kinds of gasoline in Cuba: normal and especial. Always pick ‘especial’, as it is the most pure gasoline. Regular gasoline is basically a watered-down version and it might cause damage to your rental car. At REX you can request a child seat when you book your rental car, if you have Havana as pickup location. This service comes at no extra costs, but a deposit of 50 CUC (€45) is required. This service is on request and there is no guarantee whatsoever that a child seat will be available when you’re in Cuba. If you travel with young children in Cuba I would recommend to bring your own car seat. 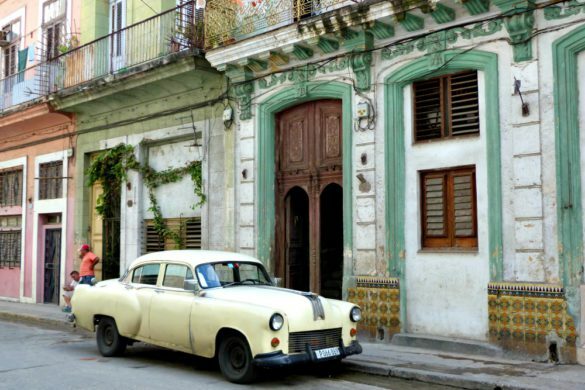 This ensures you will be able to travel safely with kids in your rental car in Cuba. If you drive around in Cuba you will notice very quickly that people offer to take care of your car when you want to park somewhere. There is no escape: your car cannot and may not be parked anywhere without supervision. The thinking behind it is that the ‘supervisors’ can make some extra money on the side. Just bite the bullet and accept to pay that 1 or 2 CUC (€1-2) if you park your car somewhere. For us it’s a small amount, but for Cubans with a monthly pay of 25-30 CUC (€23-28) it’s a big deal. Even if your car is parked in front of a casa particular it is customary for the neighbor to ‘take care of it’ during the night for 1 or 2 CUC. Are you missing something? Let me know! 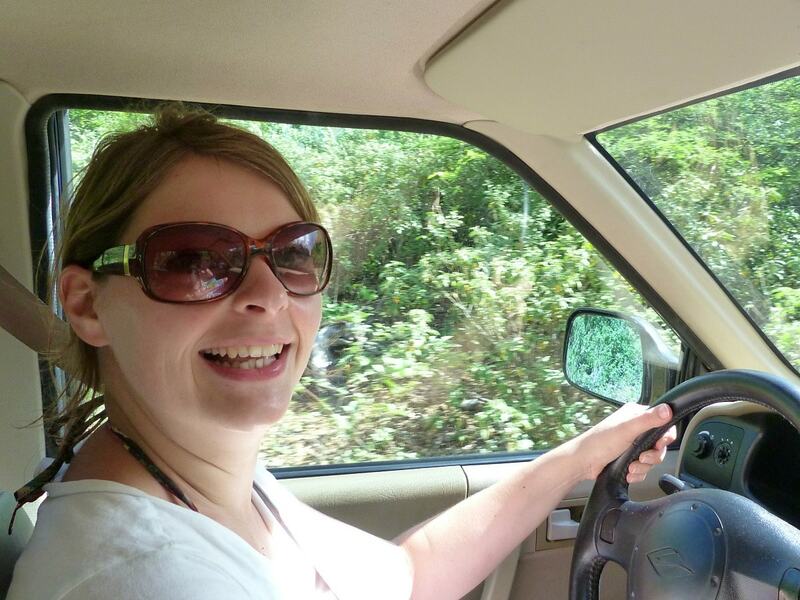 Those were all the things crossing my mind when it comes to renting a car in Cuba! Are you missing something? Let me know in the comments below, I’ll try to answer all questions and will add the information to this text! Thank you for taking the time to share this information with us (potentially naive) fellow travelers. Do you know if it is possible to rent motorcycles in Cuba? Hi Rodrigo, as of my knowledge this wasn’t possible last year… I’m not sure about this year! I do know that there is a tour operator who organizes motorbike tours in Cuba: https://www.profil-cuba-reisen.de/en/2-alles-in-cuba/422-motorcycle-trips-cuba-trip. Perhaps they can help you? II’ve been trying to rent a car online for the past month for 6 days and it is quoting ~$1200 usd. Is that to be expected? Hi Brian, yes that can very well be the price… Renting a car in Cuba is very expensive unfortunately. Sometimes the price per day becomes cheaper if you rent a car for a longer period of time. An alternative could be renting taxis from A to B when you are in Cuba, that turns out cheaper often but gives you less freedom of course. Do you know if it is possible to rent a car as a 20 years old? Hi Nikoline, I think you have to be at least 21 years to rent a car with REX, but I think for Viacar you can rent from 18 years onwards – that is, if you have your driving license for at least one year. So make sure to read the terms & conditions well and I would first try the cars of Viacar if I were you. Good luck! Thank you for this information. My question is this: We are from USA and it says you have to have a credit card to rent a car, but American CC are not accepted in Cuba, so how do we rent a car? TUI does not seem to accept Americans. Hi Laura, I’m actually not sure what the procedure would be with an American creditcard. I do think you can also pay the deposit in cash, but best to check with them beforehand probably.